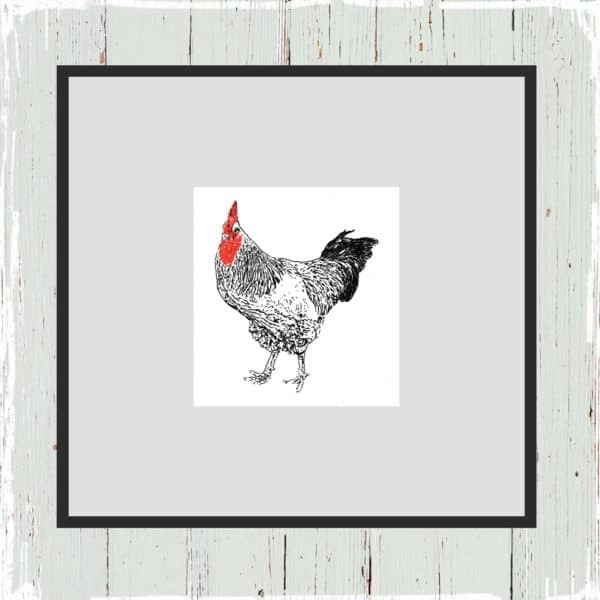 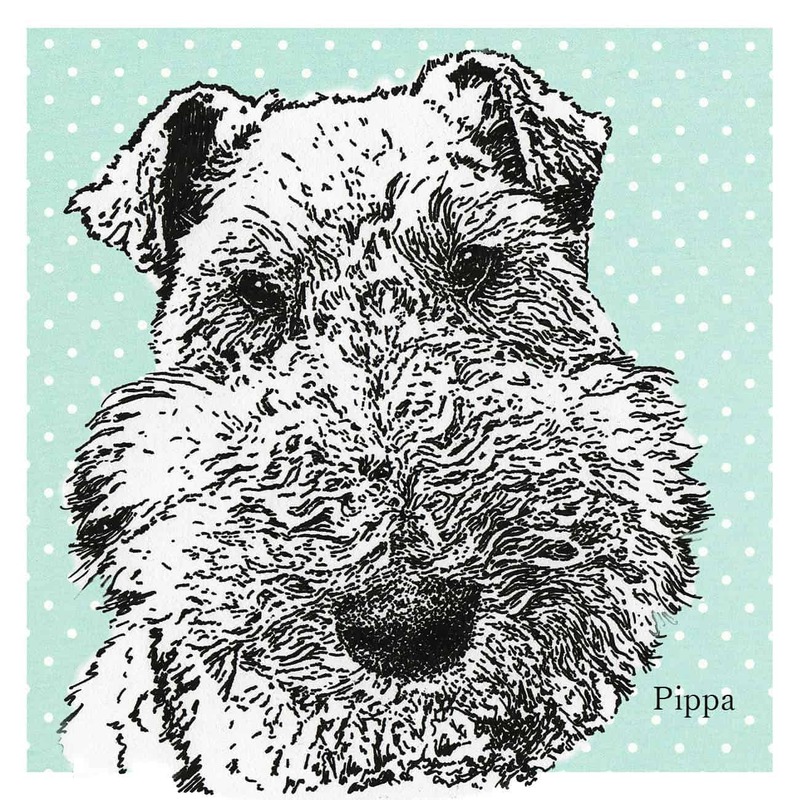 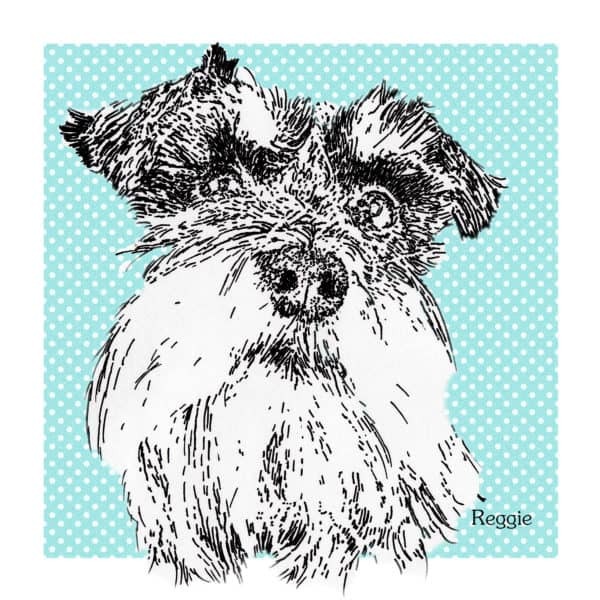 Bespoke pet portraits are hand drawn in black ink onto white Artist’s Paper with a choice of green, pink or white backgrounds. Please provide a good quality in focus photograph. You can upload a photograph up to 8mB and the larger the photo up to this size limit the better. It is important that the photo has a minimal amount of white eye (from a flash for example). 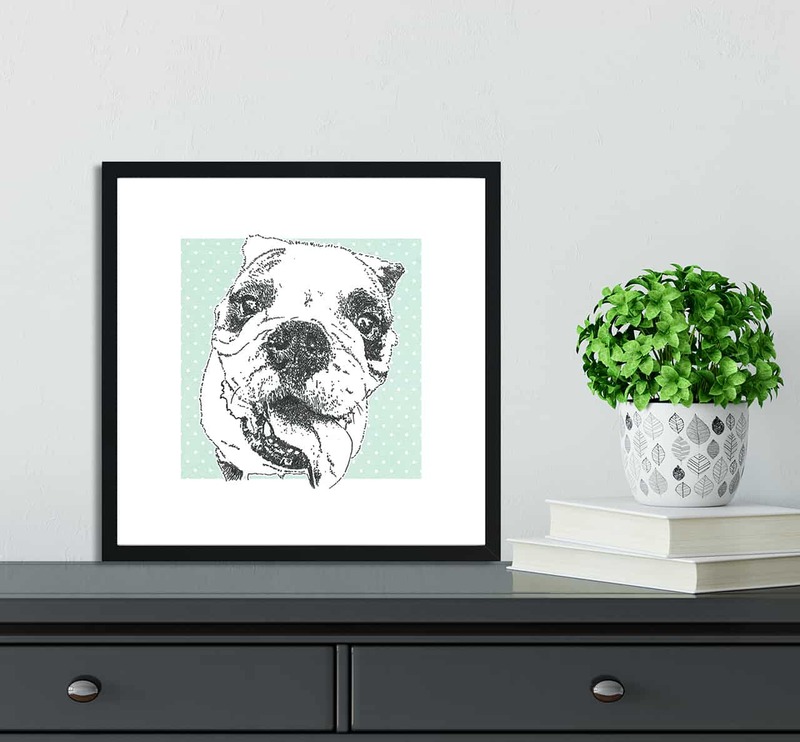 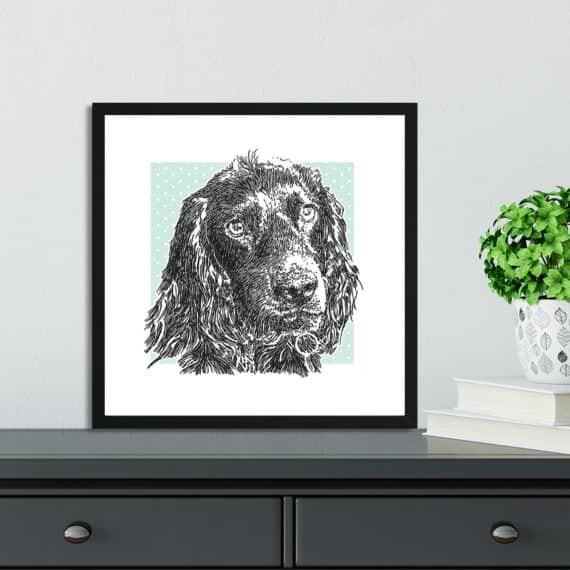 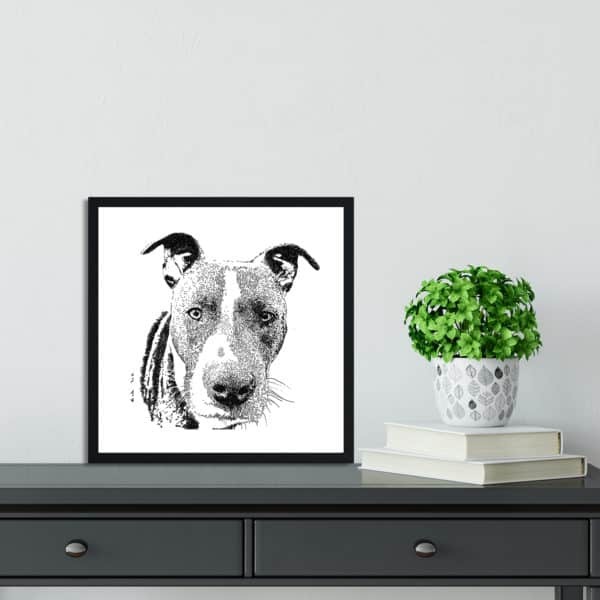 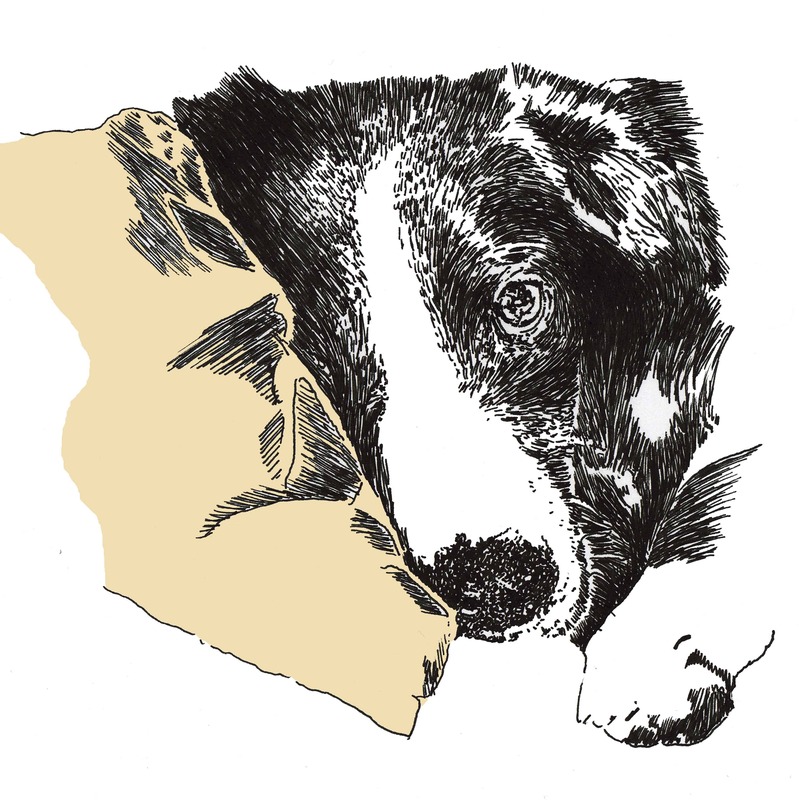 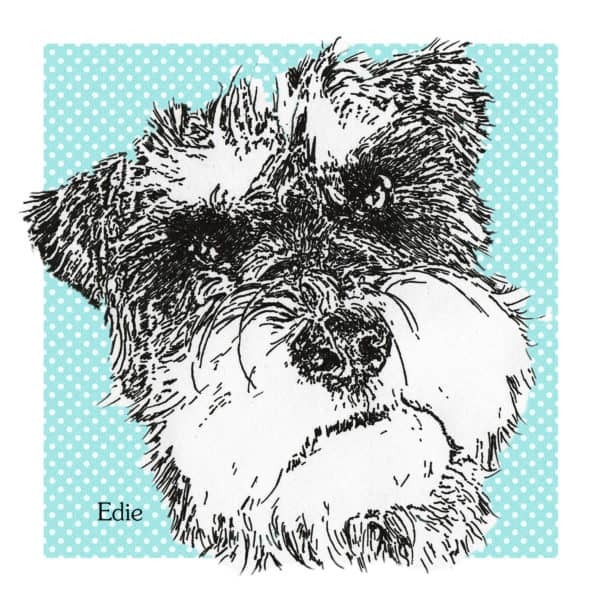 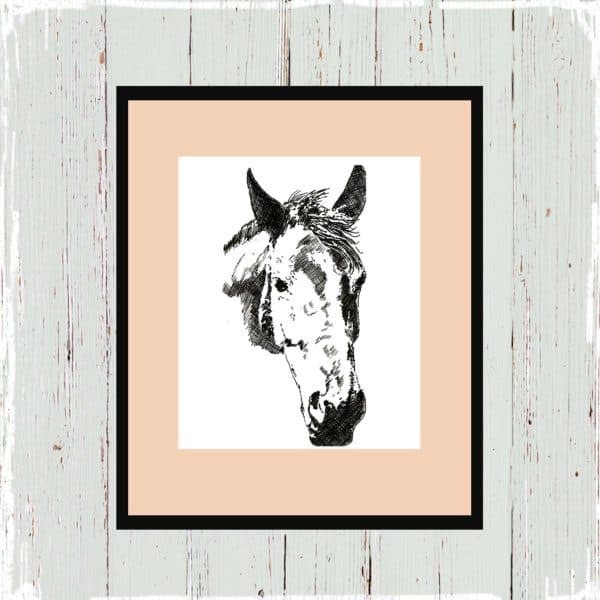 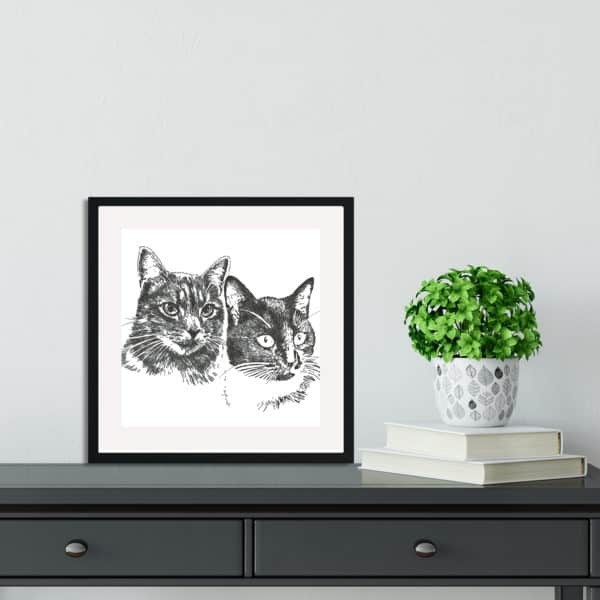 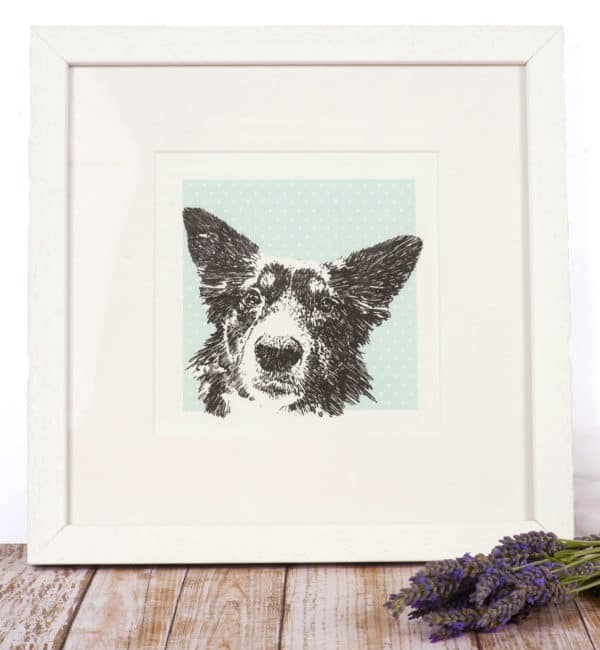 Personalised pet portraits are hand drawn in black ink onto white Artist’s Paper with a choice of green, pink or white backgrounds. The portrait will be mounted and framed if desired in a choice of black or white frame, measuring 25.4 X 25.4 cm approx (10 x 10 inches). 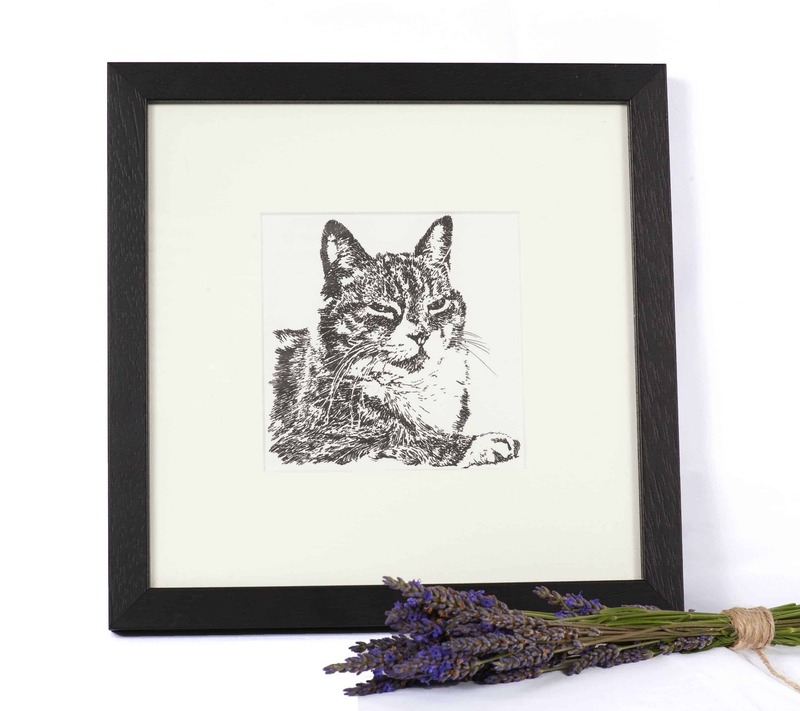 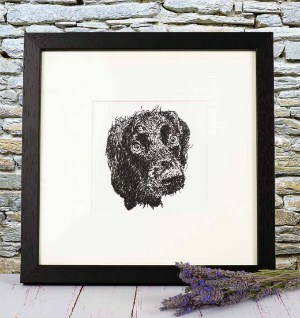 To personalise your pet portrait further, your pet’s name or personalised message can be added. 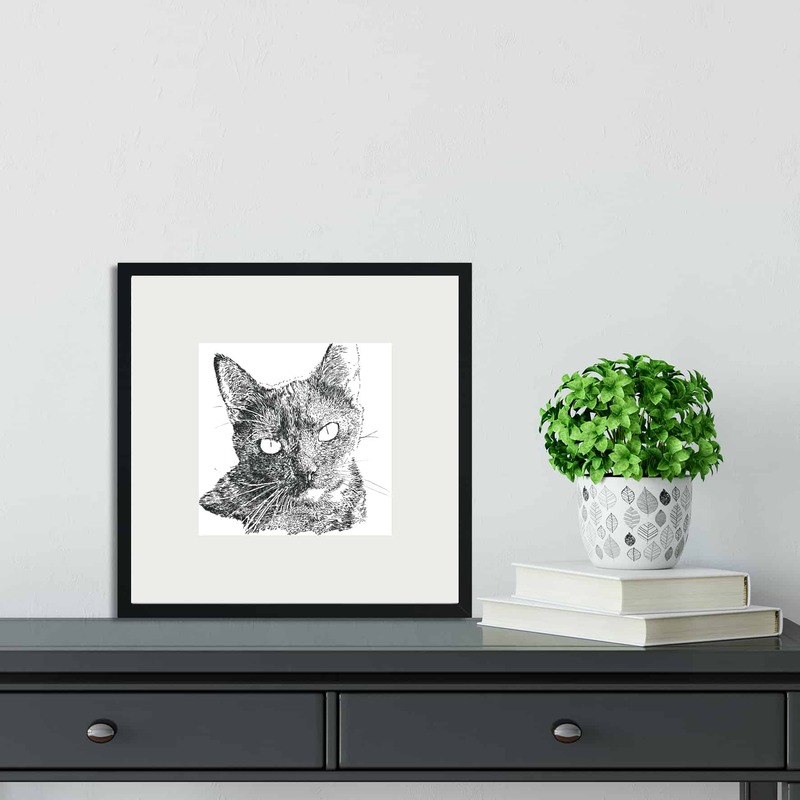 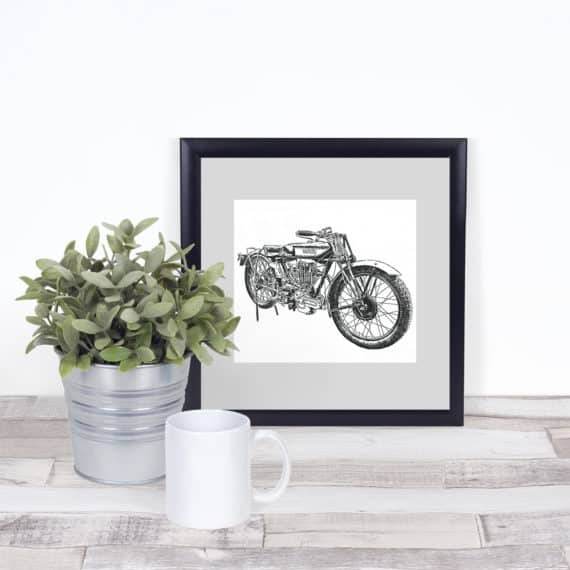 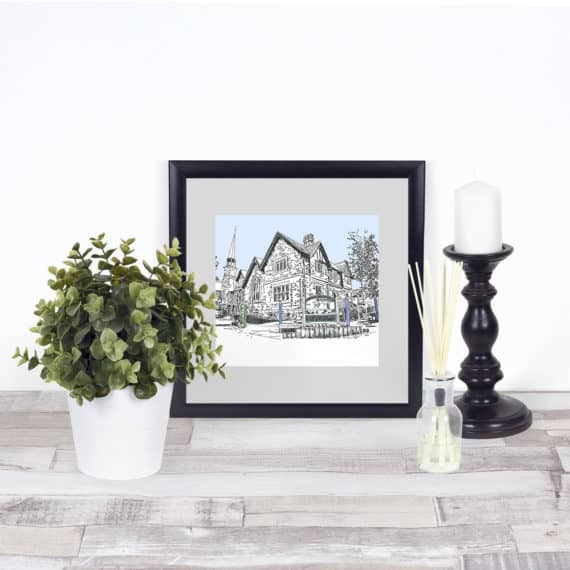 If you require a digital proof, this can be emailed to you before framing. 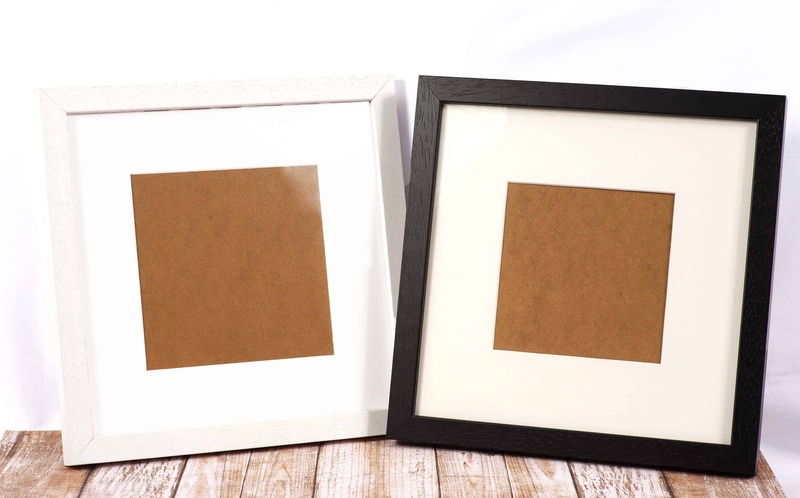 Your Portrait will be carefully gift wrapped.